If you are thinking about participating in a 5K race (or just signed up for one), then congratulations. You are awesome! That’s why today I’m going to share with you a bunch of practical tips and training guidelines that will get you through your first 5K and ensure a successful racing experience. Also, I’m gonna be sharing with you below a detailed 8-Week 5K training plan to get you ready for the big day—even if you are a complete beginner. 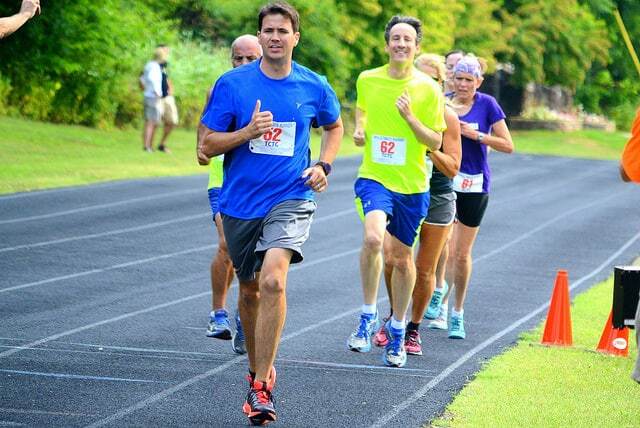 The 8-week training program is geared for beginners or anyone who want to ensure a good 5K racing experience. Just feel free to adjust it according to your fitness and training goals. It’s not writing in stone, so you shouldn’t follow it to the letter. Firs things first, exactly how many miles is a 5K? 5K is short for five kilometers; that’s roughly 3.1 miles. If you are a complete beginner, then don’t feel intimidated by that distance. It can be done—of course with the right weekly training program (like the one I’m sharing with you below). In fact, you can get yourself ready for a 5K in less than two months—even if you are a complete newbie. 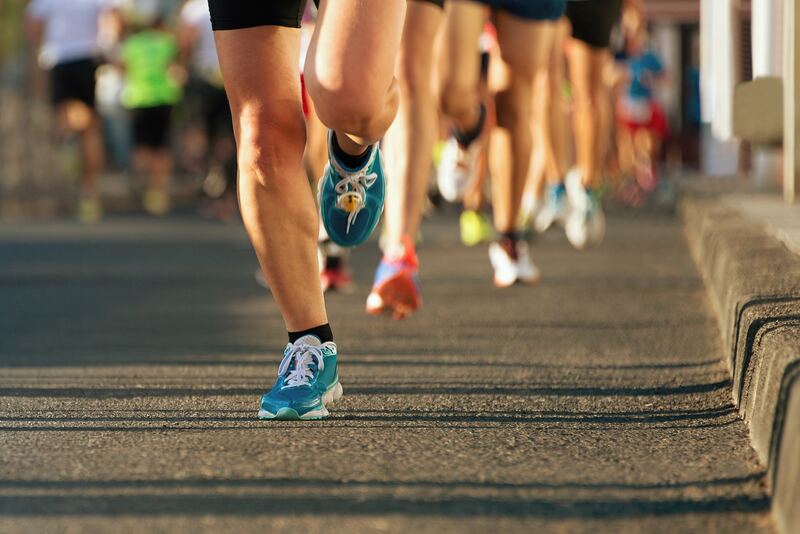 A 5K race might not seem as much, but if you are a beginner (or just stuck in a running rut), it can add a new level of challenge to your running lifestyle. This race takes all comers—athletes from all sorts of fitness levels and training backgrounds. It’s the perfect starting distance for beginner runners, as well as a challenging test of speed and strength for these with years of training under their belts. By crossing the finish line of a 5K race, you’ll be opening the door wide open for yourself to tackle new races and challenges. It’s like a gateway race, and a stepping stone to more running adventures. And that’s always a good thing in my book. 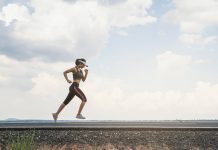 A well-rounded 5K training program should focus on achieving a good balance of both speedwork and mileage, so the right program will tend to vary from one runner to the next, depending on their fitness level and training goals, from beginner to competitive and everyone in between. With that said, feel free to change up and tinker with them according to your own fitness level and training goals. As I have already stated, if you want a competitive racing experience—not just crossing the finish line—then you have to build a strong foundation. Besides the running, you should also be doing plenty of total-body strength workouts, at least a couple of time per week. Having enough total body strength will support and keep your body steady as run mile after mile—especially once fatigue starts to set in. Furthermore, building strength also improves training form and efficiency—all of which can help you run faster, farther and with less fatigue. Start with two to three sets of build strength and power in your muscles, joints, and tendons. To train for a 5k race, you’ll need, of course, a plan and training program. This depends on your current fitness level. For instance, as a complete newcomer to running, you’ll have to start with walking for at least a half an hour. Then as you get fitter, slowly build your walks up to run-walking, until you can run for 30-minute straight without much huffing and puffing. For the complete guide to run-walking, check my three guides here. It’s all you need about the subject. This 5K training schedule includes a combination of running, walking and resting. This mix is going to help you get fit enough for a 5K distance without getting hurt. Starting slow this way will help tame the risks of injury, fatigue and stress while also improving your overall experience, endurance, and training enjoyment. During this two months training period, you’ll be doing three running workouts a week, with one full day of rest n between. If you feel like you can do more, then be sure to cross train on your off days. Just don’t do too much too soon. Otherwise, you’ll be in a world of hurt. Workout II: Start with a 10-minute Warm-up. Run for two minutes. Walk for three minutes. Repeat 5 to 7 times. Workout III: Start with a 5-minute Warm-up. Run for three minutes. Walk for four. Repeat 4 to 6 times. Workout I: Start with a 10-minute Warm-up. Run for three minutes. Walk for four minutes. Repeat 5 to 7 times. Workout II: Start with a 10-minute Warm-up. Run. Run for three minutes. Walk for three minutes. Repeat 6 to 8 times. Workout III: Start with a 5-minute Warm-up Run for four minutes. Walk for three minutes. Repeat 3 to 5 times. Workout I: Start with a 10-minute Warm-up. Run for five minutes. Walk for three minutes. Repeat 3 to 5 times. Workout III: Start with a 10-minute Warm-up. Run for seven minutes. Walk for two minutes. Repeat 2 to 3 times. Workout II: Start with a 10-minute Warm-up. Run for 9 minutes. Walk for 1 minute. Repeat 2 times. Workout I: Start with a 10-minute Warm-up. Run for 12 minutes. Walk for 2 minutes. Repeat twice. Workout I: Start with a 10-minute Warm-up. Run for 10 minutes. Walk for 1 minute. Repeat three to four times. Workout II: Start with a 10-minute Warm-up. Run for 15 minutes. Walk for two minutes. Repeat twice. Workout III: Start with a 10-minute Warm-up. Run 15 minutes. Walk for two minutes. Run for 10 minutes. Walk for one minute. Run for 5 minutes. Workout I: Start with a 10-minute Warm-up. Run for 30 minutes straight. This should come as no surprise, but if you set too big of a goal and did too much too soon, then you’ll be setting yourself up for a major failure. Therefore, please do not push yourself to do too much, too fast. Sure, a competitive spirit will carry you forward and provide you with enough momentum to keep going strong, but it can also do more harm than good—if you don’t keep it realistic. Remember always to train within your current physical activity. Let your current fitness level dictate the pace and intensity of your training, not the other way around. As you already know, food is fuel. Accordingly, the main objective of eating should be to fuel you up, not to fill you up. I keep saying this because it’s so true. We are, after all, what we eat. In fact, what you eat can either make you a faster runner, or slowly you down like nothing else, so pay attention to what you are putting into your mouth. In my experience, switching to five to six smaller, mini, meals throughout the day was a true godsend. Also, the quality of the calories matter. Therefore, make sure to eat plenty of veggies, lean protein, healthy fats, and fruits. You know the drill. Plus, for more accuracy, feel free to keep diet journal of what you eat on a daily basis. This will give you a clearer picture and better perspective of every morsel of food you put in your mouth. Then, opt for the same eating choices on race day. No need to re-invent the wheel. Your best bet is to eat whatever yielded the best results in terms of enjoyment and performance during your 8-Week training cycle. As a rule of thumb, as long as a certain food is giving you the needed boost of energy without upsetting your stomach is good to go. I often say that proper recovery is as vital as the training itself. That might sound like a cliché thing to say, but it doesn’t make it less true. 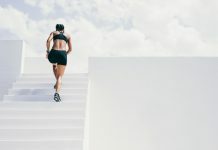 So please, do not fall into the overtraining trap—that’s when you log in too many miles and workouts without giving your body ample time to recover and bounce back from the training load. Do this for an extended period of time, and you might end up with injury, and a burnout. In fact, overtraining can spell disaster on race day and compromise of the hard work and effort for the last few weeks of training. Nonetheless, you can avoid pretty much all of the trouble if you are willing to listen to your body’s signal of pain and discomfort, then be willing to re-adjust accordingly. Therefore, in case you notice too many red flags, back off from your training program. Take an extra day off if you have to. Just whatever you do, make a recovery a priority. Listen to your body both during and after your workouts. Check my full guide on how to spot and deal with overtraining, before it gets any worse than it is. After preparing physically and mentally for the race, now it’s time to toe the line. Truth be told, and according to my experience, the days just before a race can be stressful—whether you are a first-timer or a seasoned athlete. Those pre-race jitters do not go away for good. That’s why you have to put your mind in the right place. If you let the jitters dictate the pace of your race, you’ll be losing before know it. So you have to be feeling calm, collected and ready to run once you arrive the starting line. Expect the jitters, embrace them, but keep your racing strategy at hand, and use that to guide you forward with every step you take. This is going to help you reduce as much stress as possible on race morning. To get on the racing venue on time and without delay, make sure to get ready the night before by organizing everything the night before the big day. This is going to make sure that you got everything you need under control. As a result, make sure to lay out everything—from your bib number, shoes, clothing, pre-race snack, and everything else you might need, so that you aren’t left frantically searching, half asleep, for your race essentials and items in the early morning. Do this ahead of time, and you’re going to have peace of mind. Your pre-race meal or snack has to provide you with enough fuel without causing any stomach upset—That’s why, as I mentioned previously, you have to train the way you race. Also, make sure to eat a healthy dinner the night before the race. No junk food allowed. Eat the foods that worked during your training days. And whatever you do, race day is not the day for experimenting with new foods or eating strategies. Your whole focus should be geared toward the race itself. Drink plenty of water—you need to be well hydrated for the race. Make sure to drink at least 10 to 16 ounces of water two hours before the race. Do this even if it’s just a 5K and it’s not that hot outside. In fact, one of the most common mistakes I see runners make is that they don’t hydrate enough when it’s cold outside. Well, just because it’s winter and cold doesn’t mean that you won’t be sweating and losing fluids. So you have to hydrate, or it’s a no-deal. To reduce race anxiety, another thing you can do is to get to the racing venue as early possible. There are many things that need to be taken care of the morning of race, from finding the best parking spot, using the restroom, race packet pick-up, warming up, and getting to the starting line, and accounting for anything else that might come. Therefore, make sure to arrive at the race venue at least one hour before race kicks off. As I have already stated, do not try or do anything new or different on race day—whether it’s your diet, your running shoes, your running form, pre-race warm-up, or whatever. On the big day, all you have to do to execute the strategy you’ve been working hard and diligently for the last few months. Do the warm-up you used to do during your training days. For a good dynamic warm-up, feel free to steal my routine here. I hate to sound like a broken record. But WHATEVER you do, do not stretch a cold muscle. Doing so will only hinder your performance and might lead to a muscle tear. If it’s hard for you to keep up the pace, then slow down, or even take a walking break to catch up your breath and recover. But whatever your plan, start slowly, and build your speed gradually. And please, DO NOT wait until you are completely drained before taking one to two minutes walking break. Remember. This should be challenging. But if it’s too much, then you might not even be able to complete the race. If the whole 3.1-mile distance is too much for you, then one trick you do to make it seem easier is to break the 5K distance into three chunks (or mini races if that helps). Then, keep you focus on reaching that first mile. As you approach the few hundreds last meters, make sure to finish strong. Pick up the pace and give it everything you got. For the last quarter mile or so, go for the gold and run as fast as you can to the finish line. Leave nothing in the tank.